The Crew 2 is back with all new events and a brand new hovercraft discipline. 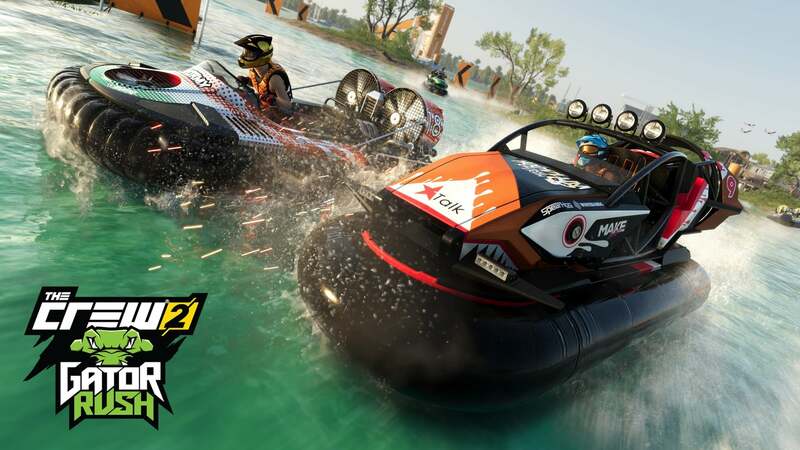 Ubisoft and Ivory Tower Studios unleashed The Crew 2 onto the scene during the summer and it introduced boats and airplanes to the open-world racing mix. The ability to swap between the vehicles types gave players the freedom to traverse the world in all sorts of new and creative ways. With the upcoming Gator Rush DLC, the team at Ivory Tower is upping the ante by including an all new hovercraft discipline to the action. The Shacknews crew managed to catch up with Julien Hummer, Player Experience Director at Ivory Tower Studios to get the inside scoop on what players can expect to find in Gator Rush. Hummer explains the process behind vehicle balancing, the various new events, and how the bayou is the perfect backdrop for all the incoming hovercraft action. You can catch the full interview in the video below. For more videos, including gameplay and interviews, visit the Shacknews and GamerHub.tv YouTube channels. You may also want to check out our 2018 video game release date guide for a list of upcoming games and the dates you can expect them to arrive.